Ansan City – Asian nations like Philippines and South Korea are only two of the democratic countries in the world wherein shared its goodwill and neighborliness, its people are believing that its friendship strengthened by the bond of War in 1950’s. So far, the two anti-communist countries are still working together for a common goal, prosperity and maintenance of ”Peace and Freedom”. In fact, when Vietnam War took place, the Korean War was discarded and became “The Forgotten War” because the former was given attention and publicity. Indeed, in the Philippines itself, only very few are aware that the Philippines was one of the allied forces that participated in the Korean War between 1950 and 1955. The former “Asian Tiger Nation” during that time sent five Battalions composed of 7,420 Filipino soldiers under the international treaty of United Nations to uphold the freedom and democracy in South Korea. Despite of over a hundred of Filipino casualties in Korean War, the Filipino soldiers were also giving their time and efforts to rebuild towns and cities which were devastated and ruined by the war. 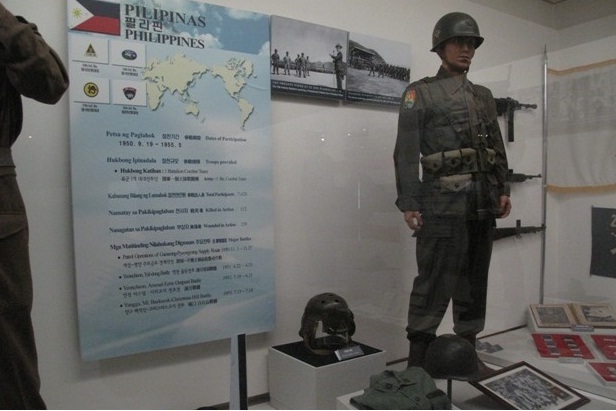 The Filipino Soldiers, led by young Lieutenant and then 12th President of the Philippines, Fidel V. Ramos, fought bravely together with the allied nations soldiers for about five-year and were recognized for their bravery in the significant battles, like the “Battle of Yuldong” in which many Filipino soldiers died for the sake of South Korea’s Independence, also the “Battle of Miudong”, the first battle of Filipinos in a foreign land. Others were the Battle of Hill Eerie and Battle of Hill Arsenal and other parts of South Korea’s Peninsula. In spite of all the sadness, coldness and apart from their families, The unreluctant Filipino soldiers showed their ability, sympathies, love, and life for the sake of democracy of their helpless allied nation, South Korea. Present during Korean War were Filipino journalists like the young and then slain Senator Ninoy Aquino, Juan Villasanta, Ben Javier and likewise Filipino priests who accompanied them for spiritual guidance and additional counsels. In 1951, Filipino soldiers left Korea during which the dead soldiers were temporarily buried and were later sent home and received by their immediate families and friends and the nation mourned as well after given numerous honors by the Philippine authority. Eventually, after the Armistice agreement or Ceasefire was signed in July 27, 1953, The Korea government began rebuilding its nation with the unconditional support of Filipinos more particular in reconstruction and rehabilitation means, in which the present and US Embassy and Ministry of Culture and Sports and Tourism were built by Filipino people in 1960. At the same time, Jang Chung Gymnasium in Dong Dae Mun was also built with the helping hand and support of Filipinos and the Taekwando sports were held here during the 1988 Olympics in South Korea. In 1974, South Korea constructed the Philippine Monument in Goyang City to honor the Filipino soldiers who fought together with its native soldiers during Korean War. Another two small monuments were built in Yeon Cheon in which the Battle of Yuldong occurred. In 2009, The Philippine Embassy together with the aid of National Defense had constructed a Memorial Cemetery in Busan, South Korea to honor the Filipino soldiers casualties in war and it was honored by Korean government that the Philippines nation was one of the nations which sent troops to South Korea. It was not only there the beginning of the friendship between the Philippines and South Korea and their history of their diplomatic relations, thus the Philippines was the 5th country to recognize South Korea as a Republic on March 03, 1949 and likewise the 8th nation among 67 coalitions to answer the request of UN to send troops to helpless South Korea under the regime of the late President, Carlos P. Romulo who was also the President of UN General Assembly from 1949 to 1950. As he said, "The application of military sanctions in Korea is in itself a greatest significance, the Philippine Government for its part has given concrete proof of its support of the principle of collective security by sending troops to help the UN forces in Korea." In just a few decades, South Korea, from ruins and devastations, rose and became one of the fastest developed nation in Asia and in the world, next to the superpower Unites States of America, thus South Korea industries had developed tremendously and at present time, its manufacturing companies like Samsung, Hyundai, LG, Kia are major suppliers of Electronics and Cars respectively, well known all over the world to Asian and western people nowadays. Many people believe that its good governance and uncorrupt government made South Korea the number one nation today, aside from this, hence it has acquired support from international community as well as the World Bank and United Nations and other organizations. Furthermore, many Koreans took up studies about “Unification Rice” at the International Rice Research Institute ( IRRC) in the University of the Philippines,- a type of rice suitable to their climate- known as being hardworking, persistent and dedicated in their endeavor, Korean government was able to develop the importance of National Strategizing. South Korean President, Lee Myung Bak emphasized the importance of green growth as he declared during the 60th Anniversary of the founding of the Republic of Korea on August 15, 2008. 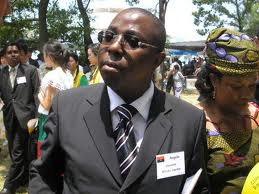 He stated, " I want to put forward low carbon, green growth as the core of the Republic's new vision." Meanwhile, under this vision Korean government developed environmentally friendly technologies for different industries and aimed to be a leader of "Green Industries" because of the current of industrialization on the global climate. Today, South Korea is one of the largest foreign and direct Investors and trading partners of the Philippines. South Koreans are also the most number of tourists in the Philippines and there are more or less 120,000 Koreans are currently living and investing in the Philippines, On the contrary there are about 50,000 Filipinos working in South Korea including immigrants, migrants, non professional and professional workers. 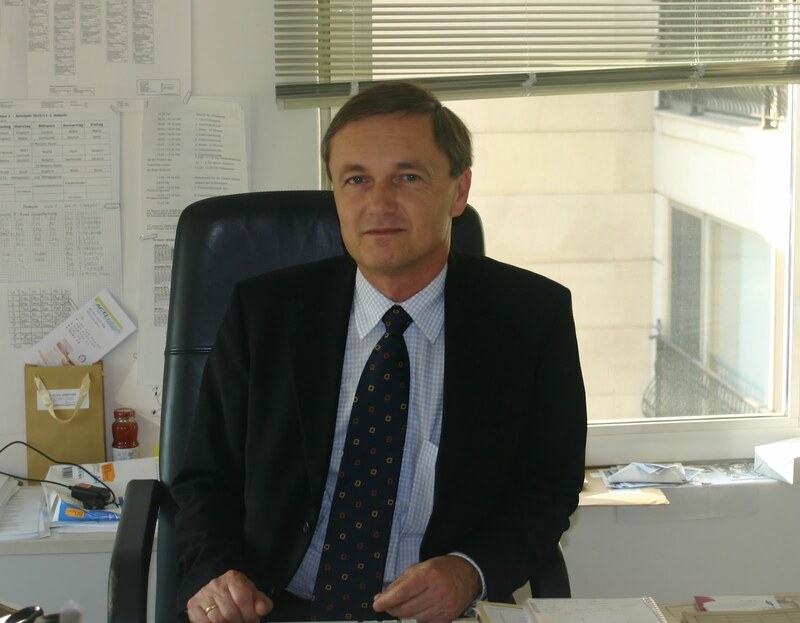 PARIS(IBIB) – H.E. Hugh Borrowman, Australian Ambassador to Vietnam paid a visit on Thursday 29 November to the Unified Buddhist Church of Vietnam’s Supreme Patriarch Thich Quang Do, 84, at the Thanh Minh Zen Monastery in Ho Chi Minh City (Saigon) where the UBCV leader and prominent dissident has been under house arrest without charge since 2003. In a phone conversation today with International Buddhist Information Bureau Director Vo Van Ai, Thich Quang Do said the Ambassador had stayed for over an hour and was very open and attentive. The UBCV leader took the opportunity of this rare visit from a top Australian diplomat to raise three important issues: the situation of the Unified Buddhist Church of Vietnam (UBCV), the question of democratization in Vietnam and the problem of the South China seas. Regarding the UBCV, effectively (though not officially) banned in 1981 and supplanted by the State-sanctioned Vietnam Buddhist Sangha (VBS) controlled by the Communist Party’s Fatherland Front, Thich Quang Do described the religious discrimination suffered by the UBCV since the period of French colonial rule. Under Colonial Decree 10, only Roman Catholicism was recognized as a Church, whereas all other religions were reduced to the status of a mere “association”. This religious discrimination continued under the regime of Ngo Dinh Diem. It was only after the fall of the Diem regime in 1963 that the UBCV was able to hold a national congress and re-establish its legal religious identity. But the UBCV suffered its worst period of repression under Communism, said Thicg Quang Do, after the North Vietnamese took control of the South in 1975 and united Vietnam under communist rule. Since then, the UBCV has been systematically repressed, forbidden to conduct religious activities, open schools or launch humanitarian operations for the poor and needy. “The authorities are seeking every pretext to disband the UBCV. When they find one, they will not hesitate to suppress us”, he said. Concerning democracy, Thich Quang Do said that Vietnam can never achieve sustainable development unless it embarks on a genuine process of democratization. This is not the demand of the UBCV alone, he said, but of the whole Vietnamese population. Only the ruling elite benefits from the one-Party state, whereas those who hold opinions different from the Communist Party suffer repression and imprisonment. He recalled the recent harsh sentences against bloggers and the detention of many young people in Vietnam simply for the expression of their peaceful opinions and beliefs. Concerning the dispute over the South China seas (known as the East Seas in Vietnamese), Thich Quang Do told the Australian Ambassador that this problem concerns not only Vietnam, but all the nations in the Asia-Pacific region, including Australia. China has already claimed sovereignty over the Spratly and Paracel islands. If Beijing takes control of the Strait of Malacca and the sea lanes that link the Pacific Ocean and the Indian Ocean, Australia and all countries in the region will be affected. Thich Quang Do called on the Australian Ambassador to press for a multilateral solution to the problem. “I don’t trust Hanoi to solve this problem alone”, he said, noting that Vietnam had remained silent at the recent ASEAN Summit in Phnom Penh, and only President Aquino III of the Philippines had the courage to protest. He observed that the map printed in new Chinese passports shows the “U-shaped line” on the South China seas and several Taiwanese territories as belonging to China. “Will Vietnam grant visas to Chinese people carrying these passports?” he asked. “If so, we are implicitly giving up our country as an offering to Beijing”. Thich Quang Do stressed that it was up to the Vietnamese people to take their future into their own hands and shape the future of their country. However, he urged Australia and other democratic countries to help accelerate this process by supporting the Vietnamese people in their quest for democratization and human rights. The UBCV Patriarch gave the Australian Ambassador a Memorandum on the UBCV, along with a written submission by the IBIB’s partner organisation, the Paris-based Vietnam Committee on Human Rights (VCHR) on a recent hearing in the Australian Parliament on the Australia-Vietnam Human Rights dialogue. The submission, signed by Vo Van Ai, urged Australia to ensure that the human rights dialogue was not an “end in itself”, but led to real and measurable human rights progress. Vo Van Ai warned that Hanoi was using the dialogue with Australia and other countries as “a shield to deflect world scrutiny from its troubling human rights record”. 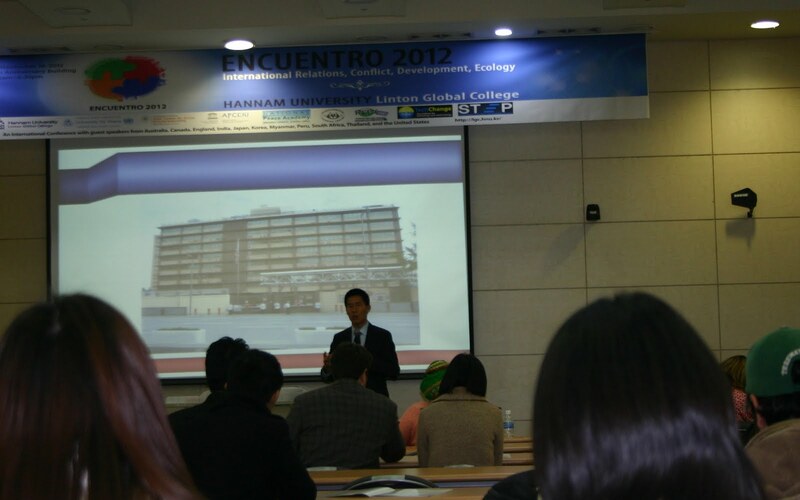 The 2012 ENCUENTRO international conference with the title of “Korea Current Issues in International Relations: Conflict, Development and Ecology” was held at Hannam University in Daejeon city, South Korea, on November 16, 2012. This conference is being organized in partnership with Hannam University and the UN-mandated UPEACE Asia-Pacific Centre with additional sponsorship from UNESCO-APCEIU, Oxford University’s Skoll Centre for Social Entrepreneurship, University of Toronto Transformative Learning Centre, and the National Peace Academy, said an organizer Kevin Kester. These sponsors are cooperating with a consortium of other national and international organizations invested in furthering peace and international cooperation in Korea and the Asia-Pacific region. For three years, ENCUENTRO has brought together educators, practitioners and activists in the fields of global affairs, international relations and peace education, gathered from around the world to exchange experiences and learn with and from each other in an intensive one-day encounter. The inaugural ENCUENTRO was hosted at the University of Toronto in April 2010. This year conference participants are mostly from Korea and the Asia-Pacific, with representatives from many other world regions. Apart from conflict resolution and peace, human rights issue was discussed, particularly on the Asia-Pacific regions. A special lecture on “Human Rights in Asia,” John S Thang, a Myanmar activist and a PhD student from Chuang-Ang University, presents the perspective of human rights in Asia and need to promote it according to local context. He condemned dictatorship and autocratic ruling system across Asia, which make human rights violation in the region. He also proposed Asian values as a collective system to use it as distributing wealth to poor people, in-order to narrow gap between rich and poor under capitalist economic system. It's found still lack of Human Rights in Asia. There are also other presenters presented on various subjects, which are Poverty and Sustainable Development, Education, Peace and Technology, Migration and Cross-Cultural Communication and NGOs and Global Education. Approximately three hundreds participants were attended at the conference. 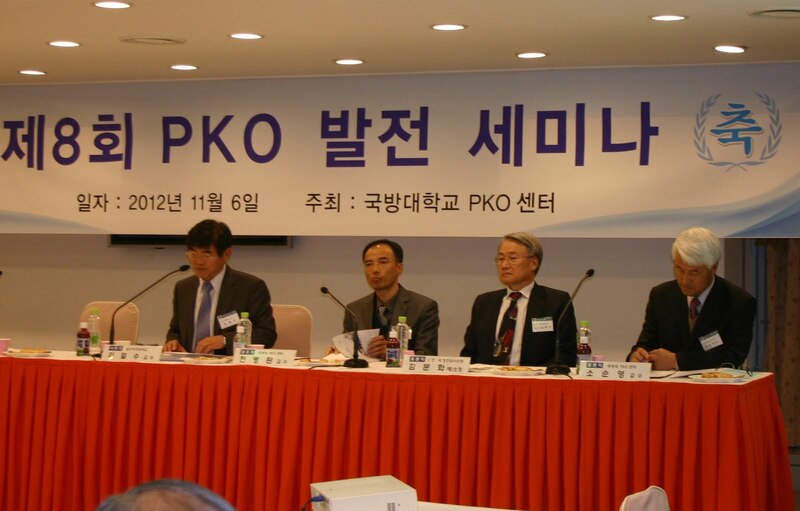 A one day Peace Keeping Operation seminar was held on November 6, 2012 at War Museum in Seoul, South Korea. 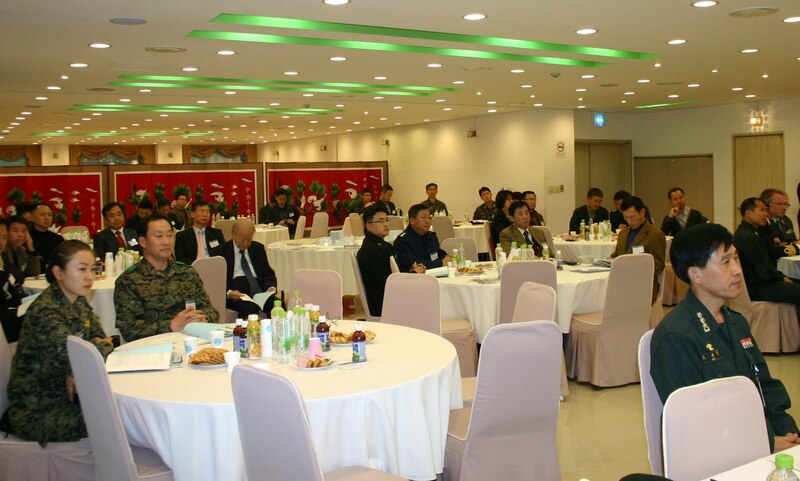 Military officer, scholar and politician were attended at the seminar. Special guest of the seminar, Maj Bengt-Ake Folkeson presents “effective Peacekeeping and Peace building challenges for Training Community”. He said threats to Peacekeeping nowadays, weapon proliferation, non conventional threats, sectarian violence and non state actors. DPKO has elaborated an early peace building strategy to help missions establish and sequence peace building prioritising areas such as policing, rule of law, DDR, security sector reform and mine action. In peacekeeping, the most important actor is host country, Maj Folkeson said. 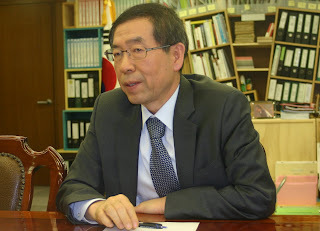 A South Korean scholar and former Colonel Yu Jae said in 1993 South Korea deployed soldier the first time to Somalia. In 2001, they deployed to Iraq. South Korea’s peacekeeping deploy by two ministers, UN force dispatch is in charge of foreign ministry and other force dispatch is in charge of ministry of defence. Prof. Yun, as the first civilian woman, has visited Arch Unit in U.A.E. U.A.E did counter terrorist mission. She also used to present at the radio program about peacekeeping issue. Col. Lee Hong Woo, who was commander of a unit dispatch in Haiti and also combine force in East Timore for a year, where they did medical treatment to local community as many as 15,000. A former Lieutenant General and Congressman Song Young-Keun said National Assembly efforts to continue their troop operation in overseas, such as dispatchment period from 6 months to 1 year, and preparation of withdrawal should noticed at least 3 months in advance. Korea was invaded more than 900 times by outside power. Nowadays Korea is sending troop around the world. 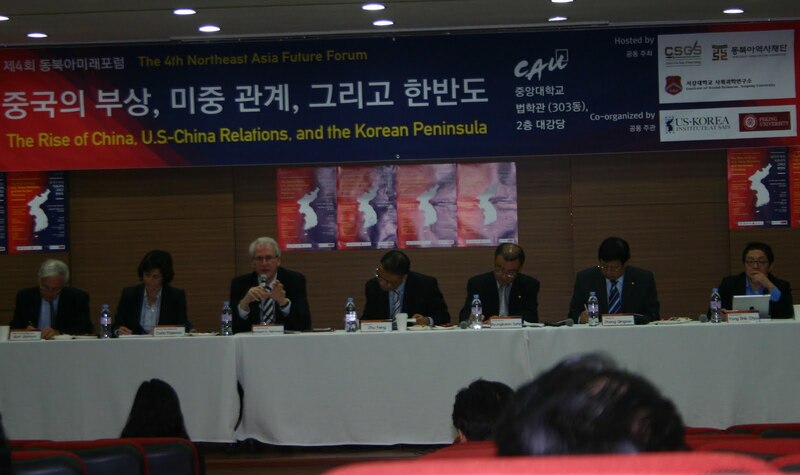 On the topic of “the Rise of China, U.S.-China Relations, and the Korean Peninsula,” the Fourth Northeast Asia Future Forum was held in Seoul at Chungang University on October 13, 2012. Scholars, politicians, diplomats and international students attended the conference, where the presenters were selected mainly from China, U.S. and South Korea. In the first session, Richard Herrmann, a Professor at Ohio State University, mentioned the threat to the security of the U.S. is, first, Iran and then China; although many people were surprised because they never thought about China being a threat to the U.S. In his presentation he said that China is a threat to the U.S. both politically and economically; for example, China is responsible for jobs lost in the U.S. Similarly, he discussed the emerging Chinese military power as a threat to the U.S., and its allies’ security as much as Iran or a terrorist threat. Herrmann further said, in the future, U.S. troops can remain in the region only when South Korea and Japan request that the troops remain. The American public recognizes China as an emerging great power, but they simply do not like it. Another American professor from Johns Hopkins University, Carla Freeman, presented on the U.S. presidential election and U.S.-China relations. She pointed out the difficulty in relations between the U.S. and China, and less stablity in the region if Romney is elected. Romney’s policy on the U.S.-China relations includes emphasizing political freedom in China, promoting U.S. values such as democracy and human rights, selling F-16C/D jet fighters to Taiwan; furthermore, Romney blasted China for stealing U.S. technology. Romney’s Asia-Pacific top adviser team member included, Leehee Chen, a U.S. citizen born in Taiwan. Other top advisers are Evan Feigenbaum and Aaron Friedberg, both of whom served in the Bush administration. A Distinguished professor Karl D. Jackson, who served as special assistant to the president for National Security Affairs and senior director for Asian Affairs at the National Security Council before 1995, advised the Northeast Asian region to see the example of ASEAN, where Thailand engages with China, and also sent troops to Iraq at the request of U.S. This kind of ASEAN regional institution will be a better way to cooperate and promote security and trade within the region, as well as, around the globe. A commentator, Byoung Kwon Sohn, expressed his opinion about the upcoming new Chinese leader, Xi Jinping. Jinping probably might able to solve the current regional conflict, especially, the ‘rocky islands’ disputes with its neighbouring countries. However, Jinping has had many problems ahead of his leadership; it is still a long way to go. Another commentator, Chungang University’s Professor Yong Shik Choo recalled back as Asia was the world’s power and commerce hub in the ancient times, and it is coming back to Asia as it was; similarly, China is also on the way to an imperial state. Usually, Chinese professors describe the U.S.-China relationship problems as the result of a “misunderstanding.” The two diplomatic tensions showed, for example, at the ASEAN meeting in 2010, where the two countries began accusing each other. The U.S. doesn’t like Chinese lip service on sanctions on the North Korea issue. On the other hand, China doesn’t want the U.S. interfering in its territorial dispute between China and Japan. China remains silent on dictatorial and military rule in its neighbouring countries. For example, China will not interfere with Myanmar’s internal conflict and political crisis, a Chinese professor Zhang Qingmin said. China military enhancement creates a threat to its neighbour Asian countries amidst island disputes. China continues to say that it is not afraid of military confrontation, said Professor Zhu Fang. He admits the South China Sea’s dispute should be solved by a multilateral approach. Professor Fang also praised Myanmar’s democracy leader Aung San Su Kyi, as she is making history. Chinese professors want to change the Chinese political system into a liberal democracy, but it won’t happen easily, since it is a big country. Approximately 160,000 Chinese students are studying in U.S., and 100,000 U.S. students are projected to study in China under the Obama administration. Sogang University Professor Geunwook Lee gave an analysis on American Military strategy towards East Asia, where he argued that the U.S.’s Air Force strategy is more offensive than landmines; he said landmines doesn’t make any mobilizing. He also revealed South Korean public opinion on U.S. as it ally, but it is split on public opinion - some want to depend on the U.S. for security, while the other wants to depend on China for economic benefits. A Korean professor Taehyun Kim put emphaiss on the future South Korea’s relations with the U.S. as unaffordable or not guaranteed for its security, also in many other aspects. Taking the international system, for example, a hegemonic system and the balance of power are not always feasible, especially, for those small countries such as South Korea. The Global Digest editor Layne Hartsell edited to this story. The Kudankulam nuclear power plant in Tamil Nadu has become the Oracle of Delphi to reveal the future of India. It has also become a touchstone to know the worth of Indian democracy. The crude and cruel ways deployed by the Central and state governments to contain the people expressing in an entirely democratic way their opposition to the Kudankulam nuclear power reactors and also the ease with which false and frivolous criminal cases as well as serious sedition charges have been instituted against them would show that the people in power are too preoccupied with politics and pressing problems to grasp the perils of nuclear power plants in the long run. If India continues to climb on the curve of nuclear power growth, it is bound to face the problems Japan is now facing after Fukushima Diaiichi nuclear disaster in March 2011. Japan now finds it difficult to climb down on the nuclear power. Japan finds it too expensive and, in a way, impossible to clean up the radiation contaminated soil, forests and water caused by the Fukushima nuclear disaster. The hardships to the displaced people will continue for years together. Even after a few decades, people cannot return to their homes located up to more than ten kilometre radius from the stricken Fukushima nuclear complex. Lives of people are severely disrupted. Food chain is affected, and underwater belt is contaminated. Groundwater with caesium at 9 times the government’s limit has been found in Fukushima. Scientists detected radioactive caesium at 10 times above normal levels at 800 km away from Fukushima. The decommissioning of nuclear reactors would greatly increase the problem of long-term storage, which has not been resolved so far by any country, including Japan, which has to take care of 50 years of spent fuel. A thing to be noted is, compared to the investment and commitment Japan made in nuclear power, India is at best at the starting point. Prior to Fukushima nuclear disaster in March 2011, Japan had about 30% of its electricity from nuclear fuels, while India generates even now only about 3% from nuclear fuels. Therefore, it is prudent for India to stop building any more nuclear power plants and concentrate on renewable energies as Germany and Japan are doing now. Fukushima opened the eyes of people worldwide. Kudankulam should open the eyes of Indian people and Indian planners of electrical power. The truth is the global nuclear power corporate sector is as powerful as the global oil corporate sector, and more sophisticated in enticing the leaders of the developed countries like Japan and developing countries like India. The pressure the Japanese government is now facing from the powerful global nuclear power corporate sector to restart the shut-down nuclear reactors in Japan against the wishes of the Japanese people should be an eye-opener to the Indian government as to what it is going to face if India becomes a market place for nuclear power plants against the wishes of the Indian people. Ordinary people in Kudankulam and Idinthakarai and other nearby villages are sacrificing their lives to help the Indian government to open its eyes. Nuclear scientists in the department of atomic energy (DAE) should come forward for an open public debate. These scientists are doing a great disservice to the nation as well as to the cause of science in India with their bald statements that all is well with the nuclear installations and nuclear power plants in India. Many things are not revealed to the Indian public. Media, print and electronic, is yet to demonstrate its skills to unearth the mismanagement in DAE. The prime minister and the chief ministers of states craving for nuclear power plants are all ill-informed and insufficiently informed on the injury and loss in store for the nation in the long run from opting for nuclear power plants and neglecting renewable energy sources such as small and medium hydro power plants, solar, wind, biomass and biogas, geothermal and energy saving. Global nuclear power corporate sector has become restless after Japan announced its new nuclear power policy. The determined and sustained opposition of Japanese people to nuclear power has compelled the present government of Japan, headed by prime minister Yoshihiko Noda, to declare a new energy policy 18 months after the earthquake and tsunami devastated Tokyo Electric Power Co’s Fukushima Daiichi plant in March 2011, triggering meltdowns, spewing radiation and forcing some 160,000 people to flee. Salient points of the new energy policy of Japan are: Limit the life of the nuclear reactors to 40 years, stop building new nuclear power plants, phase out nuclear power by 2030 and restart the shut-down nuclear reactors only if the nuclear regulator permits. Thus, Japan joins countries such as Germany and Switzerland in turning away from nuclear power. In abandoning nuclear power, Japan aims to triple the share of renewable power to 30% of its energy mix. Whether it is a political statement or a real zero nuclear energy option by Japan, time alone will show. But there is an immediate reaction from the United States, France and Britain expressing concerns over the zero nuclear energy option of Japan because they all make money from Japan’s nuclear industry. An added concern of France and Britain is that Japan may refuse to take back spent fuel that was sent from Japan to France and Britain for reprocessing. The dealings connected with reprocessing are quite tricky. Japan at present holds 70 tonnes of high grade plutonium. Without their nuclear power reactors, Hokkaido Electric Power Co., Tohoku Electric Power Co., Tokyo Electric Power Co. and Japan Atomic Power Co. would all go bankrupt. Therefore, the “big business” has already termed the new energy policy of Japan as anti-industry. In the days to come, if the new energy policy is diluted, the agitating Japanese public will raise the slogan of ‘anti-people’ and if the new energy policy is strictly implemented the “big business” will air the slogan of ‘anti-business’. The resulting public debate is bound to work on democratic Japan to gravitate much faster towards renewable energies and energy saving methods. In all this there is a lesson for democratic India. In its efforts to phase out nuclear power after last year’s Fukushima disaster, Japan has by now approved more than 33,000 renewable energy projects that can receive subsidies under a new energy law that took effect on July 1, 2012. These projects include solar, wind, small hydro and geo-thermal. Germany is one of the pioneers in the global switch to renewable energies. One-fourth of German electricity was furnished by renewable energies in the first six months of this year (2012). Based on calculations from the German Association of Energy and Water Industries, water, wind, biomass and photovoltaic power plants produced 67.9 billion kilowatt hours of electricity between January and June, 2012. That represents a 25.1% share of German electricity consumption. This has shown the way to Japan, which plans to make up its 30% nuclear electricity deficit from out of renewable energies. Certainly, India can plan to have the present 3 or 4% of its nuclear electricity from out of renewable energies and become completely free from nuclear electricity. Systematic expansion of renewable energy will not only be good from an environmental point of view, but also in terms of innovation, growth and employment. Three Japanese anti-nuclear activists who came to India to share their experiences and understanding of the Fukushima nuclear disaster in their country and also to express their solidarity with the people who are continuing their democratic opposition to Kudankulam nuclear plant were not allowed to step out of the Chennai airport and were deported on September 25, 2012. This is yet another instance to show that Indian democracy is getting derailed on account of the desire to make India a market place for nuclear power plants. The writer is former Indian Navy Captain with PhD in nuclear technology from Indian Institute of Technology, Bombay. 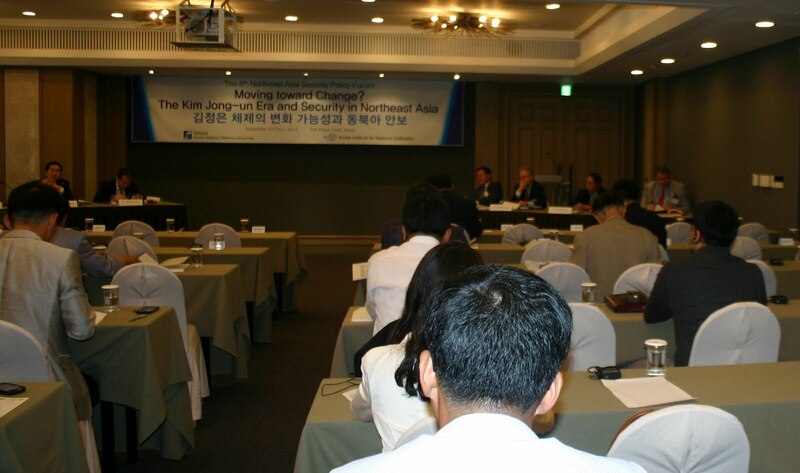 Hundreds of scholar, politician and policy makers held at the 8th Northeast Asia Security Policy Forum in Seoul on Sep 27, 2012. The forum main focuses on assessment and prospective under North Korea’s new leader Kim Jong-un, who is probably late 20s years old. The forum was organized by Korea National Defence University and Korea Institute for National Unification. After his father Kim Jong-il died 9 months ago, policy makers are hardly to figure out current North Korea leader Kim Jong-un. Is he holding a real power or sharing powers or just for symbolic leader, the policy makers are still doubt with a little and almost none information they received? Since North Korea’s ambitious for nuclear weapon and acquiring intercontinental ballistic missile (ICBM) are the main critical issues for South Korea’s security, in particular, and Northeast Asia region, in general. As the region is the busiest trading and dramatically developing economic countries, they need stable and peace in the region. Especially for South Korean, North Korea is theirs day-to-day security threatens. According to Dr. Kenneth Gause, a presentation from USA, concludes North Korea’s future are uncertain hazy at best. Muddling through along a status quo path is entirely possible, especially if Kim Jong-un has to manage a collective support network for the next few years until he consolidates power to the point that he can step into the shoes of his father and grandfather. Further Gause said policy makers in US want denuclearization of North Korea, in fact, US public didn’t support much of US involvement in North Korea issue or they don’t concern much about it. Commentator Dr. Jinwook Choi argued South Korea president Lee Myueng-bak’s policy toward North Korea aid is in strict condition, which required North Korea has to apology for Cheonan ship sinking and Yeonpyeong Island attacked in 2010. These conditions made more tension between the two Koreas, he said. Another presenter, a Chinese Prof. Shi Yinhong talked about China relation with current leader Kim Jong-un which may not be the same as before, compare to his father and grandfather’s relations with China, it will be totally different. China also worries about its own security when concerns to its close neighbour, North Korea’s nuclear ambitious, he explained. From South Korea side, Prof. Heungho Moon has doubts about China capacity to influence over North Korea, there was no open dialogue between China and North Korea, and extremely difficult to get correct North Korea’s information. A Russian Prof. Vasiley V. Mikheev blast off saying that North Korea’s regime will not exist after 2030, he strongly criticized North Korea dictatorship system which needs to change structure and adopts market economic system. Russia also against North Korea nuclear weapon program, further, Mikheev said North Korea doesn’t have ICBM and modern weapon, that North Korea’s missiles are all old. Another reason is that North Korea cannot reform itself because they don’t have experts, he pointed-out. Similarly, Prof. Sangtu Ko comments that North Korea young leader’s prospective reformation will unlikely happened. In fact, Kim Jong-un prefers such as Vietnam or Chinese economic reform style. At last, the forum moderator Prof. Taehyun Kim of Chung-Ang University summary on section 2 presentations, they found that inside North Korea has not able to change the country by themselves. Will it means outsider could change North Korea? Although North Korea’s strong allies Russia and China against North Korea’s nuclear weapon program, but they don’t want to see North Korea collapse. 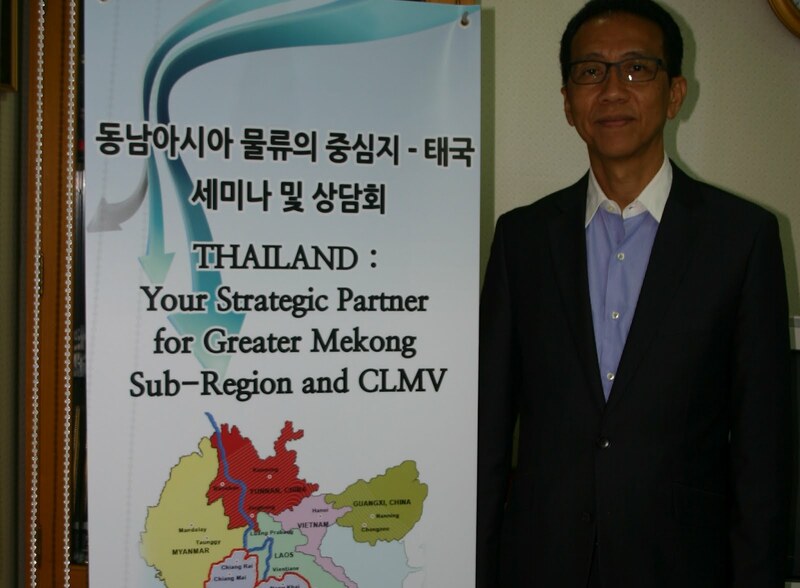 The Global Digest was invited to interview Thai representative Panot Punyahotra, Minister’s Counsellor, Office of Commercial Affairs, Royal Thai Embassy in South Korea. Mr. Punyahotra went to Myanmar, for the first time, 10 years ago, where he found the Burmese people in the Shwedagon Pagoda, much more spiritual than Thai people. He said, ‘I felt more friendliness from Burmese people.’ He continued, ‘Myanmar is very important for Thailand since it is the second largest trade partner of Thailand after Malaysia. Thailand is approximately 95% Buddhist, 3% Christian and 2% Muslim. ‘During the students’ uprising in Thailand, soldiers brutally killed students; actually the military was divided because some in the military supported the students,’ Panot explained. He said that the Thai people are blessed by their king compared to their neighbouring countries. During past times, the British and French colonized the surrounding countries, though Thailand was able to have good diplomatic relations with the colonizers. In fact, ‘the Thai king, King Rama 5, was diplomatic with the Russian Tzar, and also with Germany. As a result, Germany helped Thailand from falling under British and French colonization,’ he said. 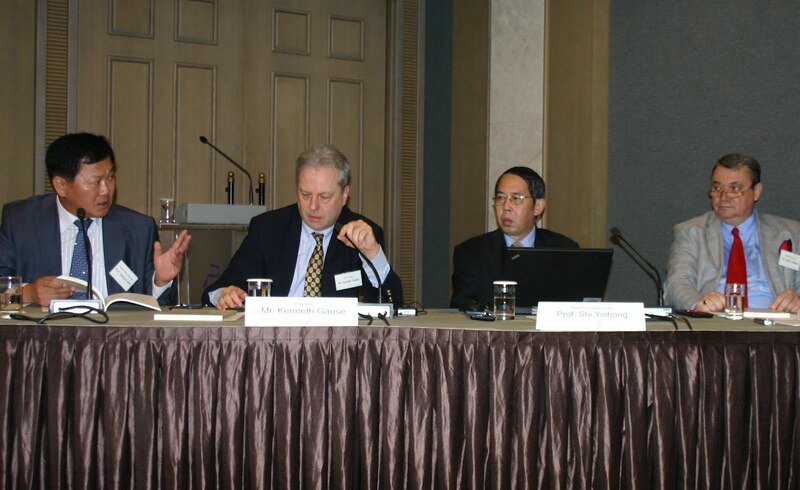 Panot Punyahotra’s Office of Commercial Affairs is significantly advocating for a transnational project between Myanmar and Thailand – the Dawei Deep Seaport Project. Where, ITD, a Thai company is the main builder. Mr. Punyahotra’s duty is to convince potential investors from Korean’s companies and other interested parties. The Dawei project was begun, and signed, with a Government to Government (G-to-G MOU) on May 19th 2008; and subsequently a private Italian-Thai Development Cooperation (ITD) and the Myanmar Port Authority signed and MOU on June 12th 2008. The Framework Agreement was signed between ITD and Myanmar Port Authority on November 2nd 2010. The project was established as a Special Economic Zone. The main role in the project is to be implemented by the Thai company, ITD, which has been granted a concession to develop: a cross border road and rail link with connecting transmission lines, deep sea port and industrial estate. The industrial estate will include a steel mill, oil refinery, petrochemical complex, fertilizer plant, power plant, and other utility services. Utilities, for example, include: water supply and treatment system, electricity (coal- fired and hydro power plant), and the Telecommunication Township for Residential and Commercial Development. Road construction will be done by both countries from each side. The location of the project is in the Tanawsri District, Myanmar, and 230 km from Kanchanaburi (160 km from Thai-Myanmar border; 370 Km from Bangkok and 500 km from ESB). It has a total area: 205 sq km and a total 250,000 mil. baht (not including resettlement cost). The company gets a concession for 60 years + a possible extension, while the land lease is up to 75 years; since the seaport has to handle all the goods coming from Thailand and Laos and other locations. Dawei Deep Seaport will be the largest seaport in the region, when it can hold 14 million TEU (containers). In the first phase, the construction will be a 5 million TEU capacity, and the second phase of construction will be the remaining TEU, with unlimited capacity for future. The full capacity of Dawei Port is 200 mil. Ton per year or 14 mil. TEU in the year 2037, and 100,000 DWT, compared to 80,000 of Laem Chabang port. ‘At the moment, Thailand’s largest seaport, Laem Chabang, has a 7.7 million TEU capacity in the Thai Gulf, and Singapore has a capacity of approximately 30 million TEU, but it is too congested for the sea route, and extension of its port is highly unlikely. It will take double the time of the Dawei seaport,’ he said. The Dawei seaport can further extend, playing significantly into the regional trade and international trade, once extended. The Dawei port will be setup at the 25-40 meter-depth, compared to the 14-16 meter-depth of Laem Chabang port. This project will become a gateway to the region to maximize benefit created from connectivity and international trade with East Asia and Western markets. Moreover, it will be a new “Logistics Short Cut” of the Region which will provide new options for transport other than the Straits of Malacca. The duration of Bangkok-Chennai sea transportation would take only half of the time, compared to sea tranportation via Singapore. Furthermore, the Dawei Deep Seaport will become one of the largest ports in the region. Dawei will connect the Pan-Asia network and secure future energy sustainability in Southeast Asia. Dawei will provide better connectivity to the existing economic and industrial cluster surrounding Bangkok. Since 2008, all consecutive Thai governments have been supportive of this project. The problem may be Myanmar government’s side, since the investors worry about Myanmar’s uncertainty political and legal systems. It’s a time for Myanmar to change the country completely before too late, in-order to catching up and to be a developed country. I agree on many occasions of Jeffrey Sachs’s paper. Jeffrey Sachs elaborated for the case of Poland, for example, which becomes able to fit according to international system and smoothly move their country into a capitalist economic system. As the economic advisor Jeffrey Sachs urged, in 1989, Poland to undertake a rapid transition to “normal” capitalism, on the model of Western Europe, which Deputy Prime Minister Leszek Balcerowica, adopted a radical strategy for the rapid transformation of Poland to a market economy. What’s Jeffrey Sachs’s Shock therapy? It is in the sense of a rapid, comprehensive, and far-reaching program of reforms to implement “normal” capitalism, which he referred it on the case of Poland. As we know the integration into international system required a long term based, a structure system, and a globalization which is more and more expanded and integrated nowadays, and is one of unavoidable reason for structuring. Jeffrey Sachs pointed out that the world economy is undergoing a process of “deep integration,” in which countries are linked not merely by international trade, but also through networks of production, finance, and shared economic institutions. Further he asserted that for three main reasons. First, the global system provides an invaluable road map for reforms. Second, the global system provides an opportunity to borrow technology, capital, and management techniques, to help catch up economically after decades of falling behind. Third, the post-Communist countries are in international competition for capital, foreign direct investment, and export markets. Actually, that a “shock therapy” approach was not simply another utopian scheme of economic reform, but rather was a quick route to a relatively clear target, Sachs said. And, it doesn’t necessary mean a “shock therapy” approach is fit for all countries, but, it might fit for a particular country and in it’s a particular context. Poland is succeeded. Including Poland, and former Soviet Union communist countries become a reason for closer integration with Western Europe. Similarly, anti-communist countries in East Asia, such as South Korea and Taiwan are seen closer to West capitalism. The idea of shock therapy for Poland is not to become rich immediately, but just to return to a normal life, to catch up with Western Europe and settle down into a capitalist economic system properly. In this transition process, Sachs said there were three challenges: The first, the systemic crisis: the need to change from a Communist system to a market system. The second crisis is the financial crisis of the post-Communist state. The third crisis, and the longest-term, is the crisis of structural adjustment. Sachs further argued, once you convert into the market it requires two sets of actions. The first, such as the elimination of price controls, licenses for international and internal trade, freedom of entry of new private firms into virtually all sectors of the economy, and the end of bureaucratic interventions inside particular enterprises. And, the second set of measures involves the building up of new institutions of modern capitalism, including modern commercial law; an independent judicial system to enforce the new commercial law; and a private, corporate ownership structure to supplant the state ownership of enterprises. After five years of reform, it was found Poland is the furthest in restoring stability and laying the foundations for rising living standards. The financial crisis in Poland was quickly brought under overall control. Within the first months of 1990, the shortages had been eliminated and the inflation had been reduced decisively, from more than 50 percent per month in late 1989 to around 4 percent per month in mid-1990. Poldand had the progress of systemic transformation; attempt to harmonize Poland’s commercial laws with those of the European Union (EU). It also has economic treaties with the United States and other non-EU countries, in areas of foreign investment, taxation, and trade. As well as, a huge influx of foreign law firms mainly to help service multinational firms opening operations in Poland. In structural adjustments, Poland was able to manage such as unemployment rates which are closer to 15 percent. The significant thing is, Poland has demonstrated the capacity to compete in Western European markets. Similarly, by the 1970s, many Asian economies had already begun the switch to an outward-oriented industrialization strategy. Such as the Latin America, India, China, and dozens of other countries are also following the strategy of market reform, trade liberalization, and privatization helps. Sachs saw them on the right track. Geopolitically, also one of important issue, most of East Asia countries can easily access sea ports and trade around the world, on the other side, most of Eastern European countries are land lock. The different between former Soviet Union's communist countries and China is labor issue, majority of Chinese are agriculture laborers, which doesn’t need to extra worrying about unemployment issue during changes of structure, since it wasn’t industrialized employees, but the former Soviet Union countries are deeply dependent as industrial laborers, and changes have seriously affected their employment issue. Although in this social structure aspect it is acceptable as mentioned by Shock, but political structure remain a problem in China. For that, how Chinese economy can guarantee without stable and international oriented legal system, which required operating free markets properly and smoothly in the country for a long-term purpose. According to the Marshall Plan, western countries are the main responsible for economic development in poor countries, which did similar aid to Israel, Mexico, Poland, Turkey, and other. In reality, nobody will heartedly want to or suffer for somebody elses development. At most, Western countries will just initiate change by democratization and market reforms. We can’t really expect too much, as we already know since those western rich countries will not really make you rich by their own hands, they are just exploiting developing countries for their own interest, rather. May be, the most case, they might share their wealth in exchange for something from you, such as natural resources or partnership of their geopolitical strategy. Only those who are hard workers and struggle to fit according to the international system; those countries can survive and achieve their dream and that dream will come true. Of course, the international system is a western capitalist system nowadays. The Global Digest editor Layne Hartsell edited to this story. 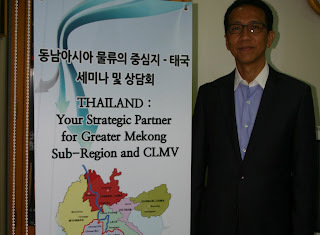 John S Thang is doing his PhD in International Politic major from Chung Ang University, South Korea. The Global Digest had a special interview with Seoul City Mayor Park Won-soon concerning foreigner and migrants issues in the city. The Mayor expressed that all the issues, every single project is important, regardless of its size, because each is directly related to the life of Seoul citizens. ○ First, I will continue to implement civil engineering and infrastructure projects but in the case of large-scale projects, thorough examinations will be made concerning their priority and fiscal feasibility. Investment in unnecessary projects will be cut and redirected toward welfare programs that will relieve the practical problems of citizens. ○ And third, in terms of employment, I will concentrate investment in the welfare and creative industries to lay the groundwork to make Seoul a “city of lifetime employment,” where every citizen can fulfill their promise through work and nourish their hopes in the future. □ In addition, I will take initiatives to improve welfare in all fields, including childcare, education and housing, for everybody, encompassing people with a disability, women, children, young adults, middle-aged people, and the elderly. □ I will make it my mission to ensure that no one in Seoul suffers from hunger, sleeps out in the cold, or is stranded or suffers damage because of natural disasters. Global Digest: Do you have detailed plans for further developing Seoul's economy? In particular, what about incentives for attracting foreign businesses to Seoul? □ The Seoul Metropolitan Government currently extends a variety of incentives to foreign enterprises that contribute to upgrading the industrial structure of the city, including employment assistance, designation of foreign investment zones, tax reductions and cash support. □ In particular, Seoul City provides assistance to selected companies that create new employment for over 10 persons a year. And the city plans to provide cash incentives to high technology businesses that invest more than US $10 million or create large-scale new employment, and will actively utilize this incentive in negotiations to induce foreign investment to the city. □ Seoul City is also providing benefits in national and local taxes to the foreign enterprises of high-tech industries, such as software and nano-based technology, and to foreign-invested businesses located in areas designated as foreign investment zones. □ The city is also making efforts to relieve certain regulations, including support for financial institutions, aimed at developing Yeouido as a global financial hub, and to reduce rental fees for government- and public-owned properties. □ Moreover Seoul has developed a variety of support plans, which include provision of long-term low-interest loans of up to 2 billion won, reduction in rental fees for real estate owned by the city, relief of the building-to-land ratio and floor-area ratio, and support for the projects to improve the overall foreign investment environment of the city. 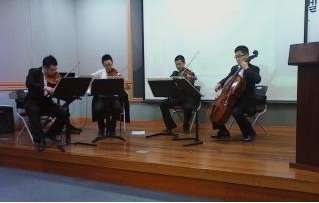 Global Digest: Seoul City is providing active support for foreigners, immigrants and multi-cultural families through measures like establishing more international schools. Could you elaborate on your plans to successfully solve the issues of a multi-cultural society? □ The number of foreigners living in Seoul has rapidly increased from 0.2 million in 2007, to 3.6 million in 2011, making Seoul a multi-cultural city. ※ Sources: From 2005 to 2008, statistics of registered foreigners of the Ministry of Justice; from January 2010, survey on residents of foreign nationalities by the Ministry of Public Administration and Security. □ Seoul's initiatives to cope with issues deriving from the multi-cultural features of the city started in full scale in 2007 with the establishment of the five-year Global City Basic Plan, carried out from 2007 to 2011. ○ The first Global City Basic Plan was devoted to the construction of infrastructure to accommodate a multi-cultural society. ○ Under the plan, the city opened support centers in areas where many foreigners reside and utilized them as bases for helping foreigners lead more comfortable and convenient lives in Seoul. ※ The Seoul Global Center provides assistance concerning immigration, driver's licenses, local taxes, banks, mobile phones and others. ○ In addition to the establishment of infrastructure, the city provided support in a variety of fields to help foreigners successfully settle in Seoul, such as support for Korean language education, the operation of medical clinics exclusively for foreigners, and the construction of foreigner-designated rental apartments. □ Seoul City will continue to expand infrastructure customized for foreigners of different nationalities, including those from non-OECD countries. The city will also focus on efforts to bring about qualitative development so that Seoul citizens can better communicate and interact with foreigners, fostering greater sympathy between the two and harmonious coexistence. ○ From this year, the city will provide extended support for the education of foreign children including children of school age who do not attend school. It will also offer legal counseling services to protect foreigners whose human and other rights are infringed upon, and services to assist foreigners in solving daily inconveniences or problems. Seoul will also take the initiative for social integration through reinforcing education aimed at increasing citizen awareness on such problems as discrimination and prejudice against multi-cultural members of society. ○ Seoul City will soon set up the second long-term plan for foreigners, the 2nd Global City Basic Plan, in which the policy paradigm will be shifted. In the new plan, foreigners will not be seen as objects for one-sided support but as subjects of communication, sympathy and interaction with local people. The Global Digest editor Barry Welsh edited to this story. The Global Digest interviewed German Counselor Alexander Nowak about his career as a diplomat around the world and his view on current Myanmar democratization process. Mr. Nowak basically became a diplomat because of family tradition - his father was also a diplomat. He was also interested in foreign affairs and studied law at a German University (Master level or 1st state exam). Mr. Nowak started his diplomatic career in 1986. Even before that he was an assistant of the deputy foreign minister in parliament from 1982, so he already had experience in the diplomatic field. His desire is to promote good relationships between Germany and other countries, and to create a better international understanding of German culture. He has had several different assignments and titles during his career, in both economic and cultural areas, and different posts in various regions - Eastern and Western Europe, Southeast Asia, Northeast Asia and North America. 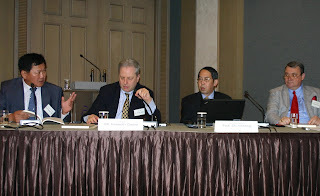 When he was in Thailand Mr. Nowak was quite active in supporting Burmese refugees; he also met a few Burmese activists. As per the German government’s policy, they cannot directly interfere or involve themselves in pro-democratization activities against the military regime, he said. Surely, the military regime is not a legitimate government, but they can’t change the regime of another country. He hopes, one day, liberalization will take place in Myanmar. And he noted there are encouraging sign in Myanmar, but that is not enough at all, and what the military government is doing is not really practicing democracy, and law and order have not been established yet. He suggests that Myanmar people need democratic education. Compared to Germany, in 1949, West Germany was a democracy, they had the experience of a longstanding democratic system, but Myanmar’s case is totally different, the mindset of the Myanmar people is totally different because they have no experience of democracy. For example, people were not mature enough when Hitler was democratically elected, that’s why it turned into a dictatorship. Right now, Germany has a better division of power between parliament, government, and the judiciary, and the press is very much independent. The legal frame work of the constitution has educated the public in democracy very well, he said. He strongly criticized the way of Myanmar military conduct elections and create their constitution, “I do not think it is democratic way.” Myanmar’s changes are so far not enough and there is no guarantee that it will not revert back to dictatorship, he said. From the German government side, they can promote democracy but they can’t interfere in Myanmar, he repeated. Mr. Nowak has 3 children with a Thai wife. In his free time, he likes to go skiing and snowboarding, travel across Korea and aboard with his family members. His hobbies also include playing the piano, reading and horseback riding. 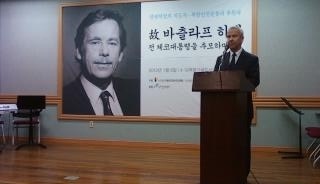 In a letter from prison Vaclav Havel wrote that he felt ‘never quite sure that my inclusion in the world won’t turn out to be illusory, fraudulent and temporary.’ A memorial service in Seoul’s 4.19 Revolutionary Library provided testimony that his political example was neither illusory nor fraudulent. The former president of the Czech Republic was praised for his commitment to international human rights by a trio of Korean Human Rights activists. The Director of the National Human Rights Commission of Korea also praised Havel’s support for international Human Rights and contrasted his achievements with those of Kim Jong Il: ‘Last December, two leaders who were well known around the world passed away. They both showed great passion for the arts and lived in the same era; yet one man is universally revered while the other is condemned. As you well know, the former is Mr. Havel and the latter is North Korea’s Kim Jong Il. Mr. Havel was a famous playwright who represented Czech’s Theatre of the Absurd, but he was imprisoned for opposing the Communist Party. Exactly 35 years ago today, he initiated the promulgation of Charter 77 to advocate the importance of human rights, and in 1989, he gave his people liberty and hope by successfully staging a bloodless revolution, the Velvet Revolution, against the Communist Regime. On the other hand, Kim Jong IL, who was a cinema enthusiast, used arts as a tool of mass propaganda for the idolization of Kim IL Sung. He did so in order to fortify his own dictatorship, and sent all who opposed him to prisons and political prison camps. Havel was a playwright and dissident. He became increasingly political after the ‘Prague Spring’ of 1968. In 1975 he wrote an open letter attacking Dr. Husak, the then Communist party leader of Czechoslovakia who had been installed by Russia: ‘People have lost all faith in the future and in the meaning of a struggle for truth and justice they seek ways to escape, they succumb to apathy and indifference.’ Then, in 1977, in an effort to encourage collective resistance he became one of the first spokesmen for and one of the first signatories of Charter 77; Charter 77 was part Human Right’s charter and part declaration of independence. Havel was arrested by the authorities for advocating it. Havel’s legacy was also affirmed by Benjamin H. Yoon: ‘No matter how much time will pass, he is a timeless figure whose influence will continue to shine.’ The memorial service was bracketed with performances by the Korean National Military Symphony Orchestra and attended by around 100 guests. Vaclav Havel was the final president of Czechoslovakia (1989-1992) and the first president of the Czech Republic (1993-2003). He died on December 18th 2011. He was 75 years old. Will upcoming Leadership changes in 2012 affect global governance in the economy? Continued global economic hegemony is inevitable under the leadership of the U.S. Although Europe has, statistically, the largest monetary fund (e.g. IMF is controlled by the European Union), the world capital market system is in U.S. control. More or less, global governance in economics mainly depends on U.S. policy in policing and decision making in the world market. Therefore, it is important to look at the upcoming U.S. election for new changes of policy. It is hoped that change will eventually pave the way to a better global economy. For Republican policy makers, they have pushed for steep cuts to Medicare and Medicaid, as reported by the New York Times on Dec. 8, 2011. One of the Republican’s concerns with policy is that they want to emphasize a single national security vision as it was in the Bush era, the issue of U.S. troop withdrawal from Afghanistan, the issue of aid to Pakistan, and illegal immigrants in the United States. Republican presidential candidate Mr. Gingrich said he wants to allow some illegal immigrants who had been in the country for decades, had paid taxes and had raised families in the U.S., to remain in the country. In case of the current Syrian conflict, the Republican presidential candidate, Gov. 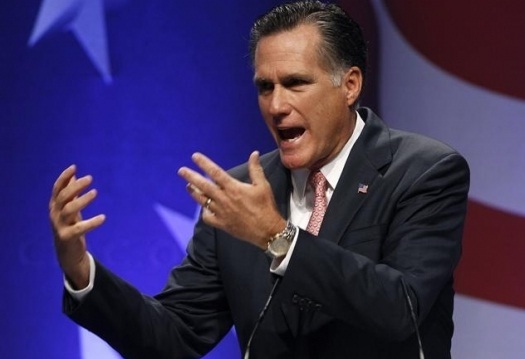 Perry called for a no-fly zone over Syria, while Mr. Romney was stricter, wanting maybe a no-drive zone. Mr. Romney wants US troops to stay longer in Afghanistan than Obama has decreed. Republicans also favour military action against Iran. The emerging situation means Republicans will concentrate on security and more money will eventually go to that program, subsequently, which will lead gradually to a weak economic and social welfare program. For the Democratic Party, they are slightly different from Republicans. Mr. Obama called for Congress to adopt his “balanced” plan combining entitlement cuts, tax increases and war savings to reduce the federal deficit by more than $3 trillion over the next 10 years. And, Mr. Obama issued tax cuts and new government spending. Subsequently, Mr. Obama improved a health care bill, a cratering economy, and a financial regulatory reform measure, passed in July 2010. Further, he proposed the American Jobs Act, and called for an extension and expansion of the cut in payroll taxes, worth $240 billion. The plan also provides $140 billion for modernizing schools and repairing roads and bridges spending. He also enabled to ratify the New Start treaty with Russia, which reduced nuclear war tensions and arrived at peaceful negotiation. Moreover, under Mr. Obama’s presidency, as part of a NATO effort to remove Libyan dictator Quadaffi, and to liberate the Libyan people; and also kill Osama bin Laden. Without showing an aggressive way of war that the US inititated before the international community, people believe Mr. Obama stabilized the international political climate which was in turmoil by during the Bush era. If Obama wins, the US health care system will likely improve and there will be a focus on US economic growth. On the other hand, if a Republican wins, the US might potentially fail to reform the health care system because the U.S. may go to war with Iran and Syria. They will need large amounts of money for the war and the U.S. economy will likely weaken. This is a prediction of the potential outcome of the 2012 U.S. election. Whatever the circumstances, the U.S. still paved the way to a global economy, and its allied member countries will follow the U.S. as usual. Most of those are the developed countries. France is one of the key countries in Europe. Nowadays, more and more European countries depend on France for regional policy making as France exerts more influence over the European continent. It represents the European Union. The French president, Sarkozy, is focused on economic growth and has promised to put more money in people’s pockets. However, since 2007, he has had a tumultuous ride, with global markets crashing, and a European debt crisis. In-order to compete in a global market, Europe needs a single integration. Currently, in December, Mr. Sarkozy and Angela Merkel have been calling for greater fiscal integration within the euro zone. At a summit in Brussels, the two leaders won approval of a historic intergovernmental treaty that would require member states to enforce stricter fiscal and financial discipline in their future budgets. Sarkozy had promised his European allies and investors in the bond markets that he would reduce that level to 6 percent in 2011and to 3 percent by 2013. Another Sarkozy proposal is to eliminate a level of regional government in the bureaucratic French state. Mr. Sarkozy’s support for social welfare included pension reforms as well, and raised the minimum retirement age to 62 from 60 in the fall of 2010. He finally signed the contentious bill. Moreover, Mr. Sarkozy was able to persuade prominent French’s politicians, such as his predecessor Jacques Chirac, and Alain Juppé, a former prime minister. He also named more women to cabinet posts. France gained international attention when they fought three wars simultaneous, in response to a UN resolution on Libya, the Ivory Coast, and Afghanistan (NY times Dec. 9, 2011). If Sarkozy remains in the office, France will carry much of the weight in Europe. And, Europe will be in a better condition from the current economic crisis, although the French economy seems likely to be slowing down. The focus on European economic recovery will be better for the regional group to compete in the international market. In contrast, the Socialists chose François Hollande, and polls showed Mr. Hollande with a significant lead. If the opposition wins, it will likely focus more on French national interests and its own economic growth, rather than EU economic concerns which will not be competitive in the global economy. As an ally of the U.S., Japan will continue bilateral trade with the U.S. and follow the traditional hegemonic system, it will likely remain in its current situation, because Japan has larger exports to the U.S., than the US had to Japan. Japan relies heavily on the US market. Meanwhile, it also has the problem of two decades of economic stagnation, an aging population and the rise of neighboring China. Since its general election will likely take place at the end of 2012, Japanese Prime Minister Mr. Noda said Japan must recover and revive its moribund economy. For that, Mr. Noda said he would maintain close ties with Washington, and even supported an existing deal to keep the Futenma US air base on Okinawa. Moreover, the liberal government of Mr. Noda announced in mid-November 2011 that Japan would join talks toward an ambitious pan-Pacific free trade pact, in spite of farmers, who say their livelihoods would be wiped out. Therefore, Japan will remain within the orbit of the US. South Korea is another ally of the US, and keeps strong ties with Washington. The country is run like an efficient business by conservative president Mr. Lee Myung Bak. Recently, the South Korean Parliament ratified the FTA in November, and in the United States, Congress passed the free trade agreement in October 2011. The South Korean people condemn the government for depriving farmers and small merchants their livelihoods. According to Mr. Ahn’s, he makes the comparison with South Korea crisis to the Occupy Wall Street movement. If a conservative ruling party wins next year’s election, the US-South Korea ties will remain as they are now. But, if the opposition party wins, some changes can be expected, especially on the FTA issue. Over the present developments in North Korea, the opposition liberal party may make deeper connections with North Korea and reduce its heavy dependency on the US; it’s even likely to remove US troop. Nevertheless, it won’t affect the global economy as South Korea has to rely on US economic leadership. The world’s second largest economy, China is under reform in-order to fit into the IMF standard and in order to operate according to the global economic system. Currently, China faces major problems such as those related to its currency policy. The Chinese presidential term will end in 2013, and Mr. Hu has staunchly defended China's currency policy; American officials say the renminbi is significantly undervalued. Another problem, China has begun to struggle with inflation born of its strong domestic growth. Although, China has a large market, it still has a problem with currency reform and a political crisis; and China is considered an underdeveloped country. In this situation, it might not directly affect the global economy by changing its leader in 2013. They still need to formally join the IMF to compete in the global economy. There is a potential effect on global governance in economics if the US leadership changes in 2012, particularly if a Republican takes office. Although, the EU and East Asian counties are giants, they have never coordinated to control the global economic governance system. Their powers are relatively minor to moderate. The global economic system still operates with the US at the center. Although the US has lost some of its supremacy in global politics and economics, it still has the unique power to control the global economic system as the global hegemon. A Korean Congresswoman, Hyesung Kim, released her Autobiography book at the National Assembly Library on Nov. 15, 2011 in Seoul. The book describes about her lifetime effort for migrant people in South Korea. 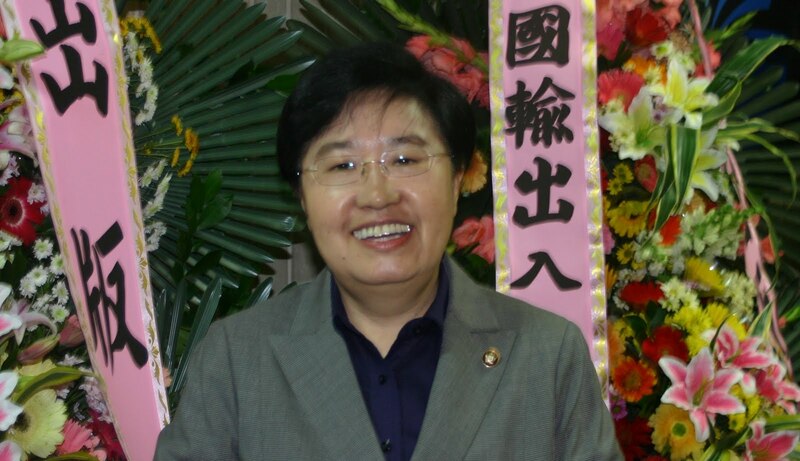 At the moment, Kim is a member of Korean National Assembly and chairperson of the policy planning committee of multi-cultural families in National Assembly. The ceremonial party for honouring Congresswoman Kim was attended by various guests. 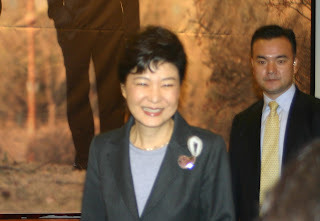 Among them, the high profile guest Park Geun-hye, South Korean the most respected politician and potential presidential candidate for next year, was attended. Also, other Kim’s colleague congress members, and Vietnamese ambassador from ASEAN, and other international VIP guests were attended and seen full in the hall. Nowadays, there are more than a million of migrants resident in South Korea and the country is moving toward multicultural nation. Since South Korean is highly relied on migrant workers for their dynamic economic development, it is a time for dealing migrant issues properly in this tiny Korea peninsula. The book is available in Korean only and you can contact at 02-784-4133. AUSTRALIA is arguing for the Commonwealth to be given greater powers to stop member nations engaging in military coups and human rights abuses, rather than persist with the present system of suspending nations only once they have transgressed. The Foreign Minister, Kevin Rudd, made the call yesterday as Australia argued behind closed doors for the Commonwealth to adopt key recommendations designed to give the 54-member organisation some teeth and stop it sliding towards irrelevance. Last night, the Prime Minister, Julia Gillard, raised human rights directly with the President of Sri Lanka, Mahinda Rajapaksa. Sri Lanka is the Pariah of the Commonwealth Heads of Government meeting in Perth because of unaccounted-for human rights abuses perpetrated on the Tamils as the country's civil war ended in 2009. "We have consistently raised our concerns about human rights questions in the end stages of the conflict. These need to be addressed by Sri Lanka," Ms Gillard said. She said the country should address the abuses through its post-civil war Lessons Learned and Reconciliation Commission, as well as through a parallel United Nations investigation. A motion lodged in a Melbourne court on Tuesday to charge Mr Rajapaksa with war crimes was stopped by the government. Pressure is mounting to stop Sri Lanka hosting the next biennial CHOGM in 2013. Yesterday the president of the International Commission of Jurists' Australian chapter, John Dowd, QC, said he had been mailed photos documenting atrocities perpetrated by the Sri Lankan army in 2009. He cited evidence of executions with people being shot through the forehead, and "the exposure of women's bodies, presumably after death, and it deals with other evidence showing Sri Lankan army officials and officers". Mr Dowd joined calls for Sri Lanka to be stripped of the 2013 CHOGM. However, Ms Gillard and Mr Rudd said this would not happen. Mr Rudd suggested other Commonwealth nations were free to boycott the event or protest in some other way. He pointed to Canada's threat to stay away if Sri Lanka has not shown signs of reform. The CHOGM foreign ministers met yesterday and will meet again today to discuss the recommendations of the eminent persons group. The leaders will then debate the issue on Friday and at the weekend. A key recommendation is the appointment of a Commonwealth commissioner for democracy, the rule of law and human rights to monitor persistent violations of human rights and democracy. It would advise the Commonwealth Secretary-General and the Commonwealth Ministerial Action Group, which has the authority to suspend members. India, Sri Lanka and a host of African nations oppose appointing the watchdog and Mr Rudd conceded yesterday that it was unlikely many of the key recommendations would be adopted because of the need for a broad consensus among nations. Mr Rudd said "there is a danger in the Commonwealth simply being reactive rather than proactive. That is, once a military coup occurs then the one blunt instrument available to the Commonwealth is one of suspension or expulsion." Johns Hopkins University Professor Jae H. Ku gave a special lecture on Asian Perceptions of Korea on July 27, 2011 at ChungAng University in Seoul. South Korea became a developed country within a few decades, and the popularity of South Korea has grown because of its dynamic economy, technology and Korean Hallyu. These are part of South Korea’s soft power influences in Asia and around the world. For details, a survey was carried out across Asia. Prof. Ku explained that social scientists talk about methodology, not about findings. According to his survey, particularly in three Asian countries, Indonesia, the Philippines and Thailand, about “the country of destination for a better life,” Indonesians chose Japan, and Philippinos and Thais chose the U.S. Surprisingly, people from these three countries even chose China over South Korea. The reason is because of legitimate migrant worker complaints about South Korea as being the most difficult country for them, due to the work conditions and stress. Incidentally, it is also the country which practices Confucianism, most widely. In terms of Korean behavior, 29% of Indonesians agreed Koreans are hard working people, 24% said they are rude, and 27% said it is good to follow South Korea as a model; of Philippinos, 29% agreed. For Korean product market saturation, 34% of Thais own Korean made products, which is the highest percentage among Asian countries. Although there is the popularity of Korea Hallyu in Asia, 59% of Indonesians said they neither watch nor listen to Korean Hallyu. For politics, it is more confusing when it comes to the North and South Korean crisis. North Korea attacked a South Korean warship “the Cheonan” and also a military base on Yeonpyeong Island last year . Although South Korea and allies have the capacity to deter North Korea, most Asian countries are not on either side. This situation has frustrated South Korea. Prof Ku argued that one of the reasons is most of the nations of Southeast Asia (ASEAN) are members of the Non-Aligned Movement. The arrangement allows for North Korea to keep relationships with them. 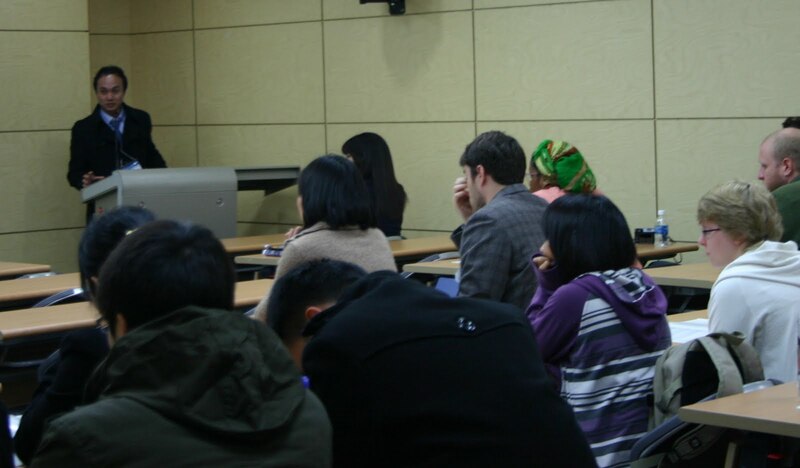 “In this circumstance, it is not easy for South Korea to persuade other nations, but it can be possible to persuade them in long-term planning through such programs as Overseas Development Assistance (ODA) and scholarships to Asian students in order to train and convince them to be closer to the ideal of South Korea,” said Prof. Ku . North Korea has many natural resources, said Prof. Ku. One example is mining, a potentially enormous industry for economic development for the Totalitarian country . And, through selling minerals, North Korea could solve much of its economic crisis, he argued. The problem is that the North Korean government is corrupt. 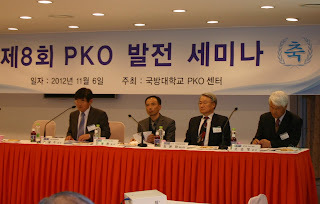 “Therefore, in the contemporary situation, North Korea is not serious about the six party talks,” Prof. Ku pointed out. In addition, many experts in Washington did not believe that North Korea would fulfill its denuclearization requirements. Moreover, some in Washington have doubts about Chinese influences on North Korean. In the past, Obama told Hu that if China could not bring North Korea to the dialogue table, the US might redeploy large numbers of troops, and setup a missile defense system in Japan. In fact, China really doesn’t want regime change and squeezes its communist ally. Most of the Korean crisis has been to solve the issue through the ‘balance of power’, but the strategy failed . Many argue about South Korea’s unclear stance or position when dealing with all forms of dictators and military regimes for business purposes, including its regional business partner, Myanmar. Therefore, South Korea should redefine its stance in order to solve its own inter-Korean crisis. Collective security will be the best system, which is originally based on democracy and human rights . There is hope for a better future for the Koreas. 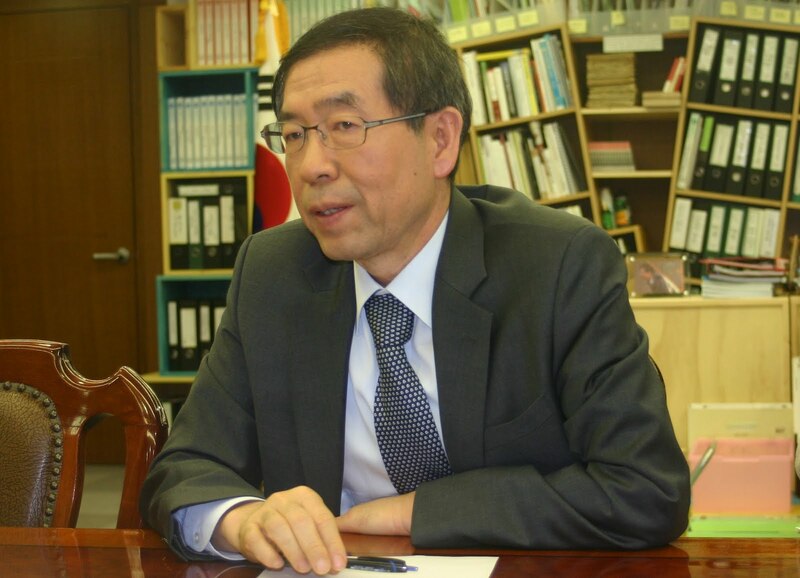 Professor Jae H. Ku is a Director of the U.S.-Korea Institute at SAIS, Johns Hopkins University. He graduated with a Ph.D. from the Johns Hopkins School of Advanced International Studies, M.Sc. from the London School of Economics, and B.A from Harvard University. 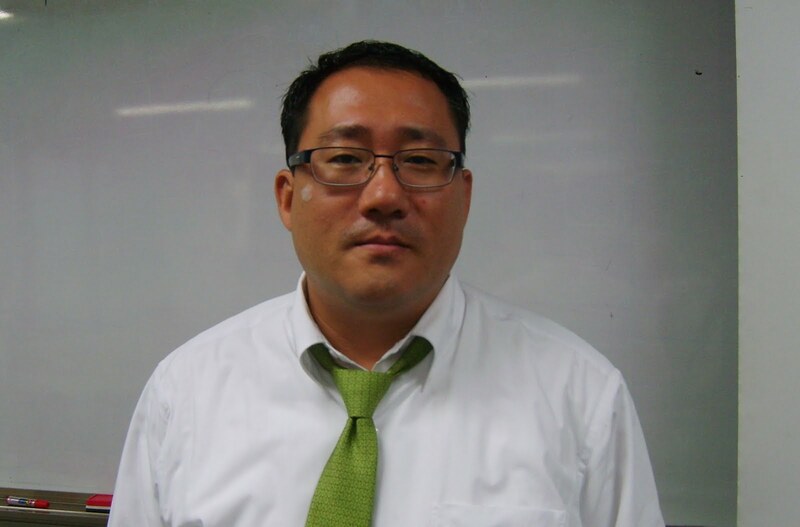 He also writes articles for various newspapers in the U.S. and South Korea. The Global Digest editor Layne Hartsell from Thailand edited to this story. The views expressed by the Professor Jae H. Ku may or may not reflect the views of the Global Digest. My suggestion to Peries is to quit and let Rajapaksa deal with the United Nations. 1. We must request that UN open up a special unit where Tamils can lodge complains to be investigated by the Sri Lankan government and satisfactory answer given. 2. Palitha Kohana and Shavindra de Silva who are already in USA must not be allowed to leave the country till their names are cleared. 3. The constitution of Sri Lankan must amended to remove any racial or religious tone and the parliament must make provision for a permanent representative from the United Nations. 4. All property that belonged to Tamils must be retuned to it legitimate owners. 5. All monies seized from Tamil organizations must be returned to the legitimate guardians. 6. All Gold that was take away from Vanni must be returned to the laws full owners. 9. The Mahavamsa must removed from the school curriculum. The root cause of the strife is this epic. 10. The Mahanayakes must be investigated for their role in the genocide. 11. All victim of violence must be adequacy financially compensated. 12. The names of all war criminal must be published. 13. Mahinda Rajapksa’s past since 1970 must be investigated. A special panel must investigate and interrogate Mahinda Rajapaksa as to what role he played in the genocide. 14. 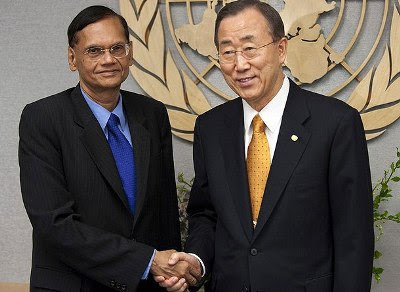 Sri Lankan government must take full responsibility for the safety of the people who are willing to testify to a UN team. The President of Sri lanka must, without any cause, take personal responsibility for the safety of the witnesses. 15. We request every Tamil to participate in this moment we have been waiting for the last 60 years. There will never be another opportunity to put an end to Racism and Fanaticism directed at the Tamil people. For sixty years the Singhalese people repeatedly unleashed violence and discrimination against one the most creative and industries people. I thought are we going to be another Sparta. Instead of gaining from our strength they tried to weaken us and this the price of their ignorance. And last but not the least, we will forgive our Tamils who patronized the enemy though their ignorance and selfish motives. We will remember them too. The wheel of justice turns slowly in a circle, it will catch up to them too. The Foreign Secretary, Amb. Nirupama Rao, along with senior officials of the Ministry of External Affairs, visited Colombo on January 30-31, 2011. Nirupama called on President Mahinda Rajapaksa, Minister for External Affairs Prof. GL Peiris, Secretary to the President Lalith Weeratunga, Defence Secretary Gotabaya Rajapaksa and External Affairs Secretary CR Jayasinghe. The visit contributed in a big way to the easing of tensions in bilateral relations following the killing of two Indian fishermen in the Palk Bay region. The Joint Statement issued at the end of the visit indicates a mellowing of Colombo’s intransigent stand and the desire to find an amicable solution to the thorny issue of livelihood of fishermen of both the countries in the Palk Bay region. It now remains for New Delhi and Colombo to consolidate the gains and move forward. An analysis of the Joint Statement shows progress in three directions. Following the killing of two Indian fishermen, naturally there was a spate of protests in Tamil Nadu, including the unwarranted attack on the Mahabodhi Society. The Sri Lankan response was unfortunate and contributed to the exacerbation of the situation. The Sri Lankan diplomats based in India emphatically maintained that the Sri Lankan Navy was not present in the scene of killing. Ambassador Prasad Kariyawasam mentioned that it was the handiwork of forces interested in spoiling bilateral relations. Obviously he implied pro-LTTE elements, but the Tigers have been completely decimated. Sri Lanka watchers in India are of the view that there is no pro-LTTE presence in the Palk Bay. The Foreign Secretary’s visit has brought about a qualitative change in the situation. 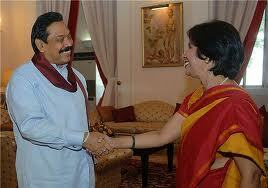 President Mahinda Rajapaksa concurred with Nirupama that violence against fishermen should be avoided. Let us hope the President will abide by his assurance though the record of the Sri Lankan Navy has not been very encouraging. According to Arulanandam of the Alliance for the Release of Innocent Fishermen (ARIF), since 1983, 236 fishermen have been killed in incidents of firing, 336 fishermen seriously injured and 80 are missing. What is more, number of fishing boats has been damaged and fish worth millions of rupees have been seized and dumped into the sea. About the theory of a third force, articulated by Amb. Kariyawasam, the Sri Lankan side was silent. The Indian side, on the basis of information provided by fishermen, maintained that people in naval uniform had escorted Indian fishermen and the incidents of killing took place in such a situation. The only way by which truth can be ascertained is to constitute Joint Investigation Teams, consisting of the representatives of the Sri Lankan Navy and the Indian Coast Guard, who can inspect the log books to find out the exact location of the naval vessels at the time of the incident. It will be a good idea if New Delhi and Colombo agree to the constitution of such Joint Investigation Teams to probe into firing incidents, as and when they occur. The second step forward is the reference in the Joint Communiqué to the India-Sri Lanka Joint Statement on Fishing Arrangements issued in New Delhi on October 26, 2008. The Joint Statement was issued following the visit of MK Narayanan, then National Security Advisor, and Shiv Shankar Menon, then Foreign Secretary, to Colombo and after detailed discussions with senior officials of the Defence Ministry, including Gotabaya Rajapaksa. The statement put in place practical arrangements to deal with bonafide Indian and Sri Lankan fishermen who cross the International Maritime Boundary Line (IMBL). It was provided that Indian fishing vessels will not venture into High Security Zones. What is more, there will be no firing on Indian fishing vessels. It was agreed that Indian fishermen would carry with them valid registration/permit and also identity cards issued by the Government of Tamil Nadu. It should be recalled that this arrangement was worked out at the height of the Fourth Eelam War, when Colombo was very keen to avoid any adverse fallout in Tamil Nadu as a result of firing on Indian fishermen. Today, the situation has radically changed. In the post-war scenario, when Sri Lankan Tamil fishermen have resumed fishing operations, the validity of October 2008 arrangement may be construed to be detrimental to their interests. For the first time, the Joint Statement made a welcome reference to the positive role played by the fishermen of both the countries to arrive at an amicable settlement. The Joint Statement records: “It was decided as well to enhance and promote contacts between the fishermen’s associations on both sides, since such contacts have proved to be mutually beneficial”. This author has always maintained that a decision arrived at by the stakeholders - fishermen of both countries - has greater chances of success than an agreement imposed on them by the two governments. What is more, such as exercise should have been welcomed by the Governmental agencies in both the countries. Unfortunately when the Sri Lankan fishermen team visited Tamil Nadu, a few months ago, Indian Navy and Indian Coast Guard did not meet them. What is more, the reaction of the Sri Lankan diplomats was not encouraging. The Sri Lankan High Commission in New Delhi informed this author that the fishermen have no locus and only agreements signed by the two governments would be valid. The fact that the fishermen wanted to submit their agreement to the two Governments for their approval was not appreciated by the Sri Lankan diplomats. Therefore the present attitudinal change is welcome. Amb. Nirupama Rao’s visit to Colombo has definitely contributed to the overall improvement of the situation. When this Author visited Sri Lanka in mid-January he found the situation to be tense. Sections in Sri Lankan Government were interested in precipitating a crisis and internationalise the issue. They had prepared satellite photographs of how Indian fishermen entered Sri Lankan waters and move towards Sri Lankan shores hour by hour. The hawkish elements among them wanted to take up the issue in SAARC and to the International Court of Justice. The killing of two Indian fishermen was intended to precipitate a crisis in order to enable Colombo to internationalise the issue. But, Colombo did not anticipate the extent of Indian indignation, both at the state and central levels. Finally, better counsel prevailed leading to a thaw in bilateral relations. The two Governments agreed that the next meeting of the Joint Working Group (JWG) on Fishing should be convened at an early date. The JWG would address all issues relating to fishing by the two sides. The JWG was constituted in 2005. The first meeting was held in New Delhi in April 2005 and the second in Colombo in January 2006. Due to Fourth Eelam War, the third meeting could not be held for the next four years. It is reliably learnt that the third meeting of the JWG will be held in New Delhi in the middle of February this year. Naturally, the JWG, among others, will discuss issues like exchange of scientists and oceanographers, co-operation in enhancing trade in fishing boats, equipment and machinery, provision for training of Sri Lankan personnel in institutions of higher learning in India and co-operation to enhance joint surveillance to minimize the problem of poaching into each other’s waters. At the end of the third round of talks, the two governments are likely to sign a Memorandum of Understanding on development and co-operation in the field of fisheries. On the crucial question of livelihood of Tamil fishermen in both countries, it must be stated that the question of livelihood of Sri Lankan fishermen, who have resumed fishing after a lapse of three decades, should be addressed squarely. A conducive atmosphere for a peaceful resolution can be created only when Indian fishermen refrain from fishing deep into Sri Lankan waters. The agreement arrived at by fishermen of both the countries in August 2010 can be the basis for further discussions. One major achievement was that the two sides agreed to phase out trawler fishing. The Indian fishermen have given the “firm assurance” that they will stop mechanized trawl fishing in Sri Lankan waters within one year. The dialogue has resulted in several other areas of agreement. The number of fishing days in a year is restricted to 70. The ban on fishing has been extended from six weeks in April- May to another 30 days in September. The number of fishing days per week has been reduced from three to two (Mondays and Saturdays). In the northern Jaffna coast and south of Mannar Island, the Indian fishermen can fish up to three nautical miles from maritime boundary. Unfortunately the agreement among the fishermen, as mentioned earlier, was not welcomed by the governmental agencies on both sides. What is worse, the Indian poaching into Sri Lankan waters assumed menacing proportions. In the fishing villages that this Author visited in January, the fishermen complained that Indian trawlers could be seen on all the seven days of the week. According to perceptive observers, trawlers from Nagapattinam and Karaikal also have started poaching into Sri Lankan waters. This Author has always maintained that a long term solution to the travails of the fishermen is to look upon the Palk Bay not as a “contested territory” but as “common heritage”. A Palk Bay Authority (PBA), consisting of representatives of both the countries, including specialists in fisheries and marine environment, should be immediately constituted. The PBA can determine the quantum of annual sustainable catch, the type of fishing equipment that could be used and equitable fishing days and distribution of catch among the fishermen of both countries. We should also take joint steps to enrich the marine resources in the Palk Bay. What is more, the Tamil fishermen of both the countries should be encouraged to enter into joint ventures for deep sea fishing in high seas. The PBA could also be vested with powers to take action against erring fishermen on both sides and recommend to the respective Government to withdraw their fishing licenses. According to informed sources, the successful conclusion of the meeting of the third JWG will result in the signing of a Memorandum of Understanding (MOU) between the two countries spelling out long term goals of maritime co-operation. But, an MOU is only a statement of intentions; students of foreign policy are aware that there are many MOUs which are gathering dust without leading to action. What is required is that the MOU should be immediately followed up by a bilateral agreement providing for speedy and time bound implementation of the provisions. Dr. V. Suryanarayan is former Director and Senior Professor, Centre for South and Southeast Asian Studies, University of Madras. He is currently Senior Research Fellow, Center for Asia Studies, Chennai. He was a former member of the National Security Advisory Board of the Government of India. The 35th National Day of Laos was took place in Seoul on Dec. 3 (Friday) 2010. The ceremonial was held by the Lao’s Ambassador to South Korea, Soukthavone Keola and his wife Mrs. Sivone Keola. Laos was independence from France in July 19, 1949. Before independence, Laos was known and as part of Indochina, the others are Vietnam and Cambodia. Currently, Laos is a member Association of Southeast Asia Nations (ASEAN) and it has borders with China, Myanmar, Thailand, Vietnam and Cambodia. The Indochina nation has established diplomatic ties with 130 countries around the world. Laos is a land locked country so it has to depend heavily on neighboring countries for trade. In the latest statistic, the Laos economy enjoyed a stable GDP growth at 7.1 percent during 2009-2010, an income per capita of 1,000 USD per year, a reducing rate of poor households to 21.6 percent. Establishment of Diplomatic Relations with South Korea on Jun. 22, 1974. a few years later it was severance from Jul. 24, 1975 to Oct. 25, 1995, then the two countries relation was reestablished. They have also high-level exchanges visit. From Laos to the ROK, Prime Minister Bounhang Vorachith visited in 2002, 2008 and 2009 respectively. From the ROK to Laos, President Roh Moo-hyun visited in 2004 on the sidelines of (ASEAN+3) meeting. The two bilateral trade was reached $106.1 million in 2008. The 67th anniversary of Lebanon National Day held in Seoul on Nov. 22 (Monday) 2010. Lebanon Ambassador Issam Mostapha to Seoul and his wife Majida Mostapha hosted a reception at Marriott hotel in Seoul. Some 500 people attended the reception. Among the attendees were top foreign envoys in Seoul, South Korean government officials, businessmen and other invitees. The opening ceremony conducted by Lebanon Ambassador, and then Ambassador and other VIP guests appeared in front of the cameras for a moment and followed by Lebanese culture dances. Lebanon National Day was celebrated across the country and round the world by Lebanese communities. On Nov. 22 1943, Lebanon people were independence from French which ruled Lebanon for over 23 years. However, they were still struggled by a civil war between 1975 and 1991 after the independence. Lebanon is a small country bordering the Mediterranean Sea, nestled between Israel and Syria. In the Middle East conflict, Lebanon supports the Palestinian to establish an independent nation and the refugees of the Palestinian people to go back their home. Lebanon and South Korea diplomatic relations established on February 12, 1981 and the Lebanese Embassy opened in 1994. The two countries exchanged high-level visits. Lebanon Prime Minister Rafic Hariri as the highest officer visited South Korea in 1997. On the South Korea side, Defense Minister Lee Sang-hee as the highest officer visited Lebanon in 2008. (Korea government, www.mofat.go.kr) South Korea sent hundreds of troops to Lebanon during 2006 war between Hezbollah and Israel. The troops were served as part of the UN peacekeeping force in southern Lebanon known as UNIFIL. According to Korean Foreign Affairs & Trade Minister, the two countries bilateral trade reached $277,000,000 export and $28,000,000 import in 2006. These two countries bilateral trade increased steadily. The Birthday of Oman Sultan Qaboos was celebrated in Seoul on Nov. 18 (Thursday) 2010. In the event, Ambassador of the Sultanate of Oman to Seoul Mohamed Salim ALHARTHY delivered the keynote speech. The event was attended by top foreign envoys and Korean Businessmen and other invitees. Oman is the oldest independent state in the Arab world and, until the 1970s, one of the most isolated a society run along feudal lines and internal rebellion. Sultan Qaboos is the founder of modern Oman nation-state. In 1970, Sultan Qaboos Bin Said opened up the country, embarked on economic reforms and boosted spending on health, education and welfare. For his entire efforts of building a modern nation, the Omanis people celebrated Sultan Qaboos’s Birthday as Oman national day. Most Omanis are Islam. Oil is the main source of the economy; tourism, agriculture and fishing are secondarily important sources of income in Arab peninsula. Korea-Oman diplomatic relation established on March 28, 1974. And the two countries exchanged high-level visits. The top Korean officials, Prime Ministers Lee Han-dong and Lee Hae-chan, visited Oman in 2001 and 2005 respectively. In respond, Oman Deputy Prime Minister Fahd visited Korea in 2005. The two countries bilateral trade exports reached $340,000,000 (by Korea) and $5,130,000,000 (by Oman) respectively in 2006. Oman becomes the 3rd largest supplier of LNG and the 7th largest providers of petroleum to Korea. Angolan Charge d’affairs to Seoul Alfredo Dombe hosted a reception on Nov. 15 (Monday) 2010, at a Lotte hotel on the occasion of its Independence Day. A number of guests from business circles, foreign envoys, and others were invited to the dinner reception. A brief history of "Independence Day"
Portugal Colonized Angola from AD 1885 to 1975. In 1960s, Angolan rival guerrilla groups engaged actively against the Portuguese. By the coincidence of 1974 coup in Portugal, the rebellious brings to a sudden end the country's colony. On Nov. 11 1975, Angolan proclaims as its independence from Portuguese colonial system. On this day, Angolan people celebrated memorial of its independence across the country. At the same time, All the Portuguese colonies in Africa are rapidly granted their independence. The word "Angola" derives from the title used by the rulers of the Ndongo state. Angola is a country of 482,625 square miles (approximately 1.25 million square kilometers) in western Africa, south of the Equator. There are great variations in climate and geography, including rain forests, drier coastal lands, the fertile, sandy soils, and desert zonesa. Email: gbdigest@gmail.com Tel: 82)1058616138. Donation at IBK Bank A/c No. 057-093323-01-013. Powered by Blogger.